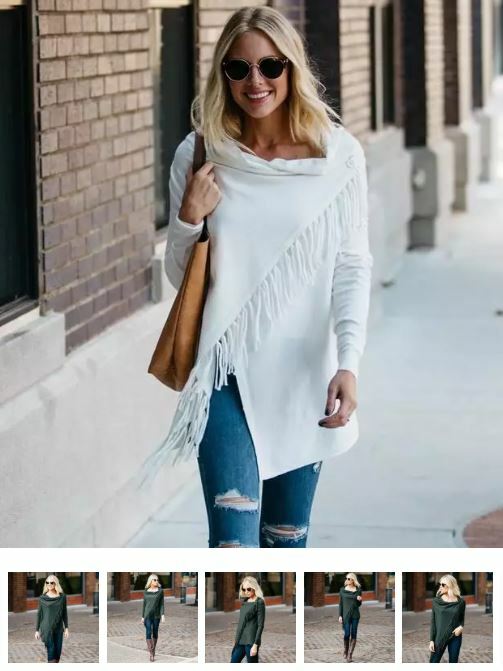 This Long Sleeve Fringe Cardigan is on sale for $19.99 (Retail $69.99). Wrap yourself in a soft cardigan you'll love! This versatile wrap cardigan hangs loosely around your shoulders and boasts a stunning crossbody fringe hemline. Pair it with some boots and jeans for a timeless look.